Iceland or Bust! – Let Us Live Like We Mean It! The Loft is part of Hostelling International. I love the understated street sign! I hope to drink some mead while I’m there. I’ve been forewarned that since the Loft is downtown, the streets can be noisy at night. In fact, the hostel even offers complimentary earplugs for those especially rowdy weekend nights, indoors and out. Luckily noise is not that big an obstacle to sleep for me…. I’ve already signed up for some excursions while I’m there. The Circle Line tour is a must. And so is a visit to the Blue Lagoon. I’ve now canceled the Blue Lagoon trip, hoping instead to go there some evening with folks from the hostel. If so, I’ll report back to you afterwards! Instead I’m using that day for a twelve-hour bus trip along the southern coastline from Reykjavik to Vik. I’ll be looking at truly awesome, in the original sense of the word, natural scenery like black sand beaches and unusual rock formations in the sea. There are things I want to do in the capital itself, too. Reykjavik has a number of worthy museums to check out. The one I’m particularly looking forward to is Saga Museum, because I’ve been studying the Icelandic Sagas both on my own and in my Medieval Lit class for the past year. In fact, my persona for the historical reeanactment group Society for Creative Anachronism is a 10th-century Icelandic woman. Melkorka Mýrkjartansdóttir is actually a famous character from the very saga that I gave my presentation on. But it wasn’t until I looked at the website for Saga Museum that I discovered who she was in the photo that I had used. Another thing I want to do is spend a couple of nights away from the city center. I found a wonderful AirBnB place not far from Reykjavik proper, in the town of Hafnarfjordur, which my hosts, Björg and Ólafur, tell me is also known as the town of elves! 🙂 They offer three different rooms in their home to guests. I’ll be staying in the smallest, cosiest one. Here is its AirBnB listing: A Warm Room in Nature, with Breakfast. There you can see more photos of the neighborhood and the inside of their lovely home. I’ll be spending two nice quiet nights and days in the AirBnB in Hafnarfjordu, which will be a welcome relief after the hustle and bustle of downtown Reykjavik and the lack of privacy and noise at the hostel. And a few minutes later, this is what I’ll be seeing! Well, I haven’t checked the average number of days of rainfall while I’ll be there, but I will go prepared, because nothing is going to keep me from completely enjoying what I know will be a literally amazing, once-in-a-lifetime experience! Iceland looks beautiful and the blue lagoon is definitely on my list of things to do. I hope it goes well! Hey, thanks for mentioning us! Both those places, Petra and Cuba, are high on my list, too. But first you’re off to Harbin, right? Yes! To see the ice sculptures! Yep, I’m jealous. Looks terrific. Everyone I know who’s been to Iceland, and I know a few, loved it. One of my ex-colleagues was even proposed to there. I hear it’s very expensive. Earlier this year the BBC showed a really good Icelandic TV crime series called “Trapped”. I think it was more of a co-production, as we love our ‘nordic noir’, but it was very good. It made me want to huddle up with a blanket and a hot water bottle while I watched it. Thanks, April. I’ll look for “Trapped” to see if I can access it anywhere! I hope you enjoy it, if you do. It is extremely expensive. I had (price) sticker shock many times, especially at the tourist outlets. You can prepare yourself by buying food at a supermarket before you head out for a day trip and save quite a bit of money that way. Take your winter clothes, hat, mittens, scarf and all. You’ll need them – unless you have room in your budget for the beautifully knitted wool sweaters, hats and gloves available in the downtown stores (again, sticker shock!). Rain is unpredictable and sometimes pours down just in a small area and sometimes hangs around for a long time. I have a picture of a rainbow with a downpour of rain through about 1/3 of the rainbow – pretty crazy! 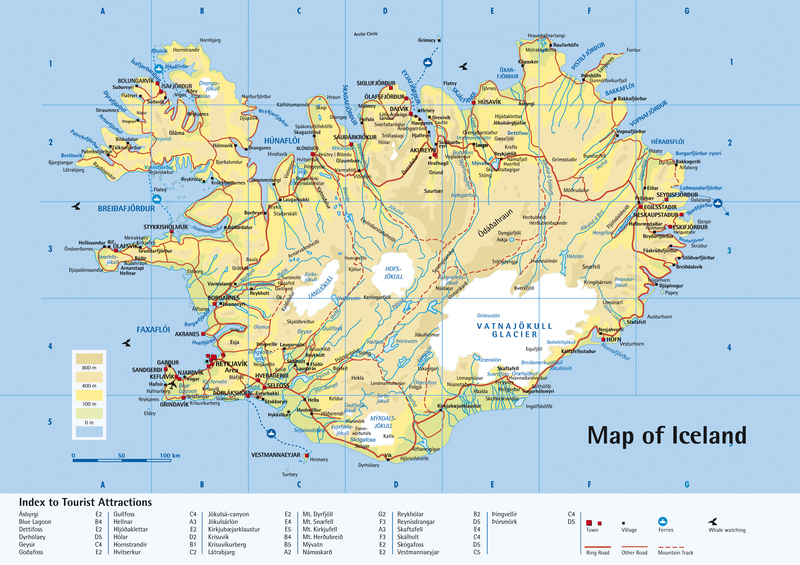 We are going to Iceland in June 2017…can’t wait. Pingback: Marking time…. – Let Us Live Like We Mean It! Pingback: My harp will go to Pennsic! an update – Let Us Live Like We Mean It!